Posted on December 29th, 2018 under Oregon. Tags: AF-S NIKKOR 85mm f/1.8G lens, concert photography, Nikon D750, zepparella. Comments Off on Happy birthday, Gretchen Menn! Happy birthday to Zepparella’s Clementine! Posted on March 31st, 2017 under Oregon. Tags: zepparella. Comments Off on Happy birthday to Zepparella’s Clementine! 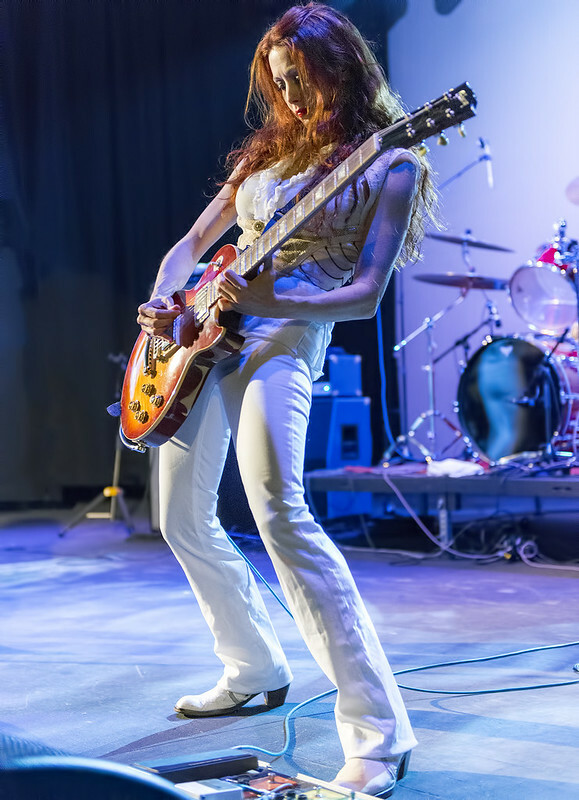 If you are in or near Tahoe/Reno or San Francisco or if you are traveling to one of these places this weekend, then you will want to check out Zepparella, the all-female Led Zeppelin cover band. Friday night they are playing at the Crystal Bay Casino and Saturday night they return home to play at Slim’s in SF. As an added bonus Clementine’s band “Stars Turn Me On” and “The Gretchen Menn Band” are opening both nights. You can’t see Clementine (the drummer) in the above photo, but Gretchen is the guitarist on the right. Peeking through the curtains on the side are a couple of the members of Hell’s Belles who were also playing on the evening I took this pic. The next shows for Hell’s Belles will be in Oregon (Corvallis @ The Majestic Theatre on 2/15 and Bend @ The Old Mill on 2/16).